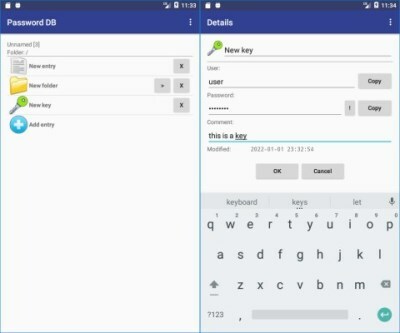 The Android version of Alternate Password DB. It can process files created with Alternate Password DB and vice versa. You have to copy the .APK-file to the Android device to install it there (you must temporary disable 'unsafe sources' in order to do this), or you simply start the download with the device itself.